[One of the most common aggravations parents experience] is when your child throws tantrums, especially in public! There are certain common situations in which young children can become emotionally charged. Here are just a few of them. Being with several people: being with the whole family at dinner, at a family gathering, a meeting, a birthday party, the grocery store, church, or temple. Moving from one activity to another: leaving home for day care; leaving day care for home; stopping play for dinner; and going to bed. Being with a parent who is under stress: the parent is cooking, cleaning, shopping, trying to finish a task on time, or is upset because there’s so little help. At the end of any especially close or fun-filled time: after a trip to the park; after a good friend leaves; after wrestling, chasing, or laughing with Mom or Dad. When your child bursts out with feelings, slow down the action, and listen. Listen until he is done. Because of this cry, your whole day and his will improve. When Ella and her mom arrived for the first day of their art class for three-year-olds, Ella seemed like a quiet, shy little girl. The other children worked and played together while their parents were away, while Ella sat in her mother’s lap, quietly avoiding the other children. On their third day in the group, I gently suggested her mom could take an hour for herself while Ella was with us; I was confident Ella would do well. Nervous about leaving Ella alone, particularly in light of her apparent shyness, her mother decided to say goodbye and wait outside the room where she could hear how Ella was doing. Though Ella had never before been away from her family, she began to interact with the other children, and turned out to be anything but shy. She appeared confident, focused and self-directed; with a little encouragement she was easily able to ask for what she needed and play with the other children. Soon enough, Ella’s mother was dropping her off and taking some much-needed time for herself during class. 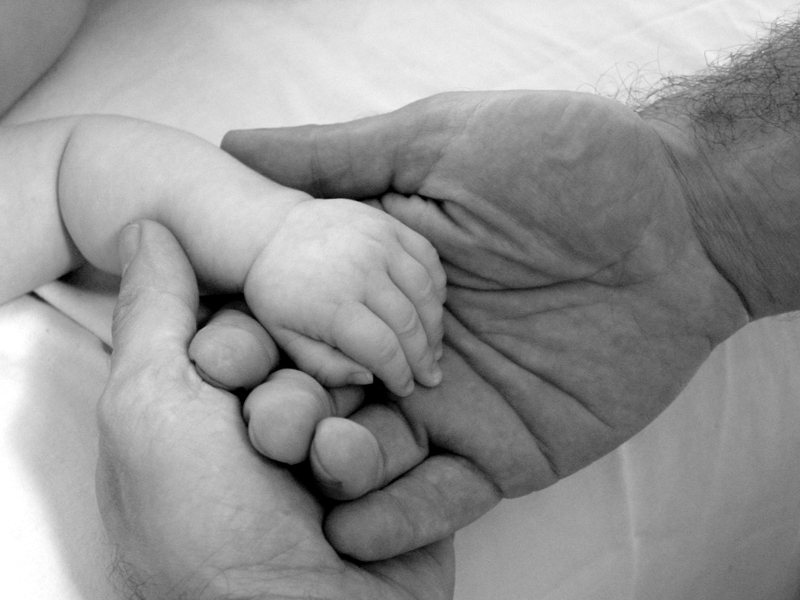 Sending your little one into another’s care for the first time is a monumental experience. This first separation can bring up nervousness, doubt, mistrust, and grief for even the most even-keeled parents. The process can be quite trying, but can also provide an opportunity for growth where you can examine your feelings and reaffirm your love to your child. Your child has an opportunity to master separating from you in a secure and confident way that keeps your attachment strong. In this article, we’ll explore some ways you can help your child make this transition with confidence and ease. Click here to listen to the reply. Most of us parents want, more than anything, for our presence to be the elixir that banishes our children’s upsets. We want our touch, our cuddles, and our sweet words to heal the hurt. Our son cries over a stomped-on paper airplane, and we put an arm around him and tell him we will make another. He sniffles and slowly comes around. Or our daughter tantrums over a balloon that floated away and can’t be caught, and we gather her up, wriggling in protest, and talk her down until she’s quiet, if not exactly sunny. I think my daughter knows exactly what she’s talking about. She was, after all, a baby who had a lot to say. Even from our very first long night together after she was born, my daughter cried a lot. Until dawn she fussed and squawked, wriggled and writhed, her belly against my chest, my body exhausted from giving birth and aching for rest. But the rest never came. After a few weeks, I began to face it: I had a fussy, sometimes inconsolable, baby. It was harrowing. My husband and I called on doctors, lactation consultants, baby massage teachers, cranial sacral practitioners. No one could find a problem, yet my daughter still could not find peace. She cried so much, my little one, while I work anxiously doing whatever I could think of to stop the crying: bouncing, walking, sound machines, sh-shing, standing in the backyard in the middle of the night, sobbing to myself. By the time she was four months old, I was desperate and utterly exhausted.